Learn how to style your home to perfection during our free monthly design workshops. At each session, our expert design specialists will focus on a trending style topic and offer tips and tricks for how to bring that theme into your space. 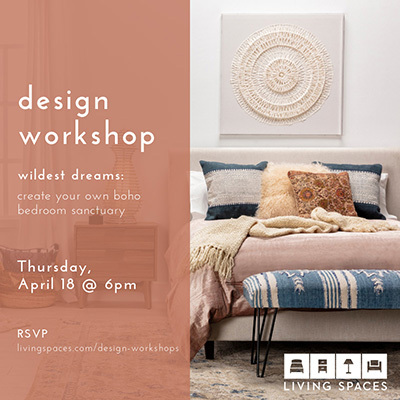 This workshop will teach how to create your own boho bedroom sanctuary.